The Black Lens: MEMPHIS MAJIC at The Avon. Please join us for a pre-film reception at 6:30 p.m.
MEMPHIS MAJIC takes a look at the DNA of Memphis through the lens of a Memphis-born street dance called Jookin. The dance style derived from Memphis hip-hop about 30 years ago. Featuring street dance superstar, Lil Buck, MEMPHIS MAJIC seamlessly connects urban dance, hip-hop, politics, and history to reveal how one of America's most important cities was built. 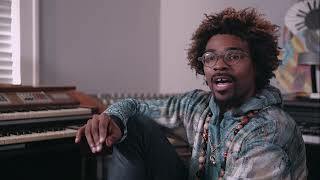 The film, which features interviews with academics, artists, jookers, and clergy, demystifies the creative style of Jookin as a unique cultural expression while it synthesizes the city’s deep history to paint an accurate, yet arresting, portrait of Memphis. A Memphis native, Eddie Bailey attended Howard University where he honed his acumen for storytelling through film studies. Upon graduation, he moved to New York City where worked with networks including MTV, BET, NBC and TV One. He founded his production company Savoy Media Group in 2010. In 2015, he produced and directed “The History of Hip Hop in the Bronx,” a TV segment that earned him an Emmy nomination. Baily is also a cousin of National Civil Rights Museum founder D’Army Bailey, the late civil rights activist, attorney and circuit court judge.